Itâ€™s a collaborative storm and youâ€™re in the eye of the storm watching RANSOM by adidas Originals team with Stussy for this new limited edition series! 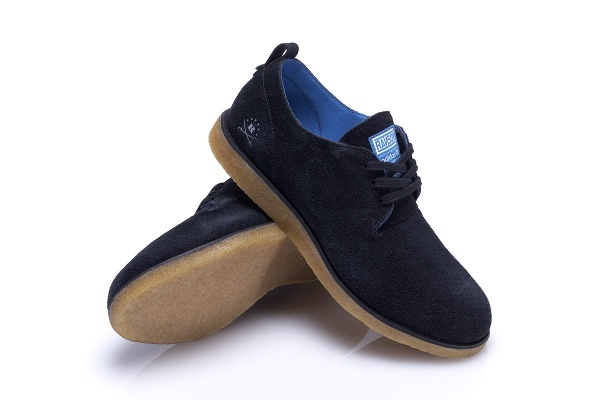 The PLAIN CS STUSSY is less sneaker, more casual shoe, with crepe sole, suede uppers and classic derby design. Expect tripartite branding, with RANSOM, adidas Originals and Stussy all putting their stamp of approval on this beautiful shoe. Want it now? Well itâ€™s scheduled for global release on March 26, with adidas Originals locations in Japan, STUSSY stores and No6 and No75 confirmed to be carrying inventory. Available in blue, black, and grey.